what is the difference between lasik and cataract surgery? 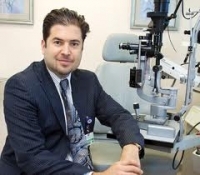 » Watch Next Video by Ehsan Sadri - What is cataract surgery? They are two fundamental and different types of therapies. One is categorized for the younger and near sighted type of patients, and two is categorized for the older, cataract patients. In effect, cataract extraction surgery serves to cure the cataracts of the eyes and be able to create what we call spectacle-free or spectacle-dependent vision. This generally occurs when the patient develops a cataract, so generally speaking those patients that are 55 years of age need to think about a cataract surgery. On the other hand, lasik surgery is designed to work on the cornea, it does not involve cataracts at all. In fact, patients who are much younger can use lasik surgery to be able to see the world without depending on contacts and glasses. Lasik surgery is not permanent and creates excellent visual acuity for distance vision or near vision or both. However, as the patients get older, they may develop cataracts, and will eventually need cataract extraction surgery.